If Benedict Cumberbatch is secretly attempting to play every iconic role in the British canon, he’s well on his way to succeeding. 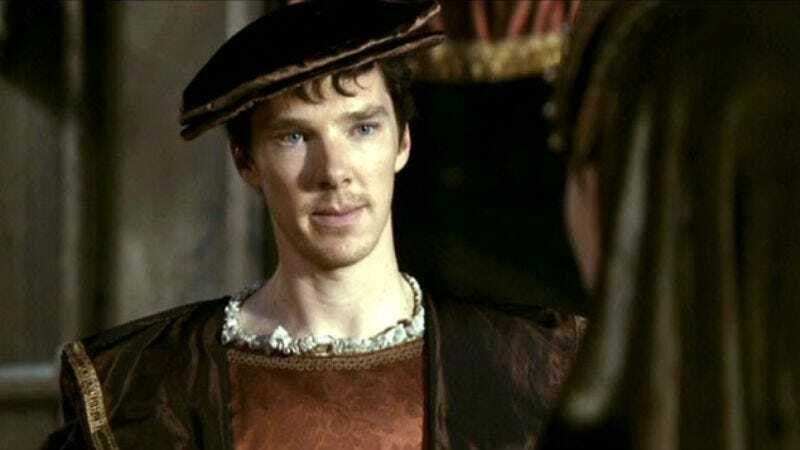 In addition to starring as a modern-day version of Sherlock Holmes and gearing up to play Hamlet on London’s West End this summer, Cumberbatch will also play Richard III in a new BBC2 TV adaptation of William Shakespeare’s play. According to The Independent, the adaptation comes courtesy of the team behind The Hollow Crown, which includes executive producer Sam Mendes. Theatrical director Dominic Cooke will make his screen-directing debut on the project, which follows Richard III’s rise to power and short reign in 1483. Cumberbatch will likely don the hunchback and limp that have long become associated with the monarch, thanks to Shakespeare. Coincidentally, Cumberbatch’s Sherlock co-star Martin Freeman will play the same villainous king onstage this summer. Given that Freeman already has Watson, Bilbo Baggins, a beloved British Office character, and Arthur Dent under his belt, when it comes to covering the British oeuvre, Cumberbatch still has some catching up to do.